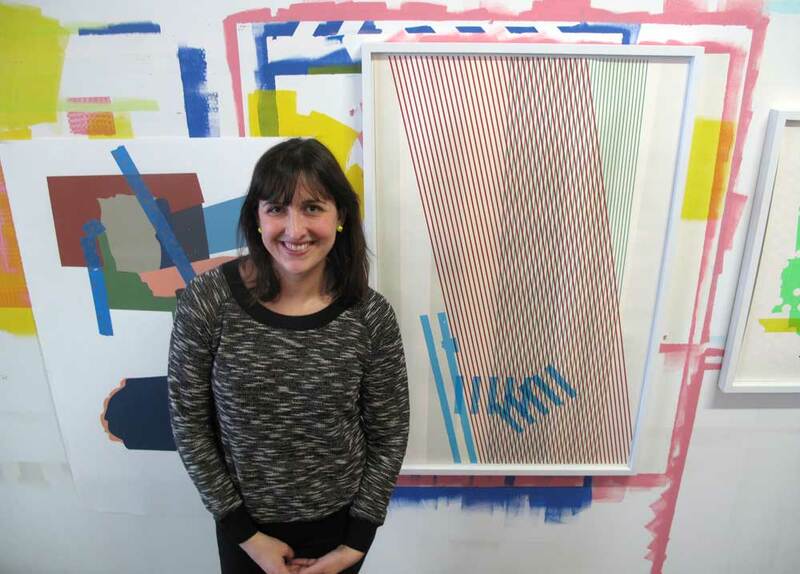 Anne Schaefer is a multidisciplinary artist working out of a large, shared workspace in Port Richmond. This February, I spoke with Anne about her recent work, upcoming plans, and relentless schedule. 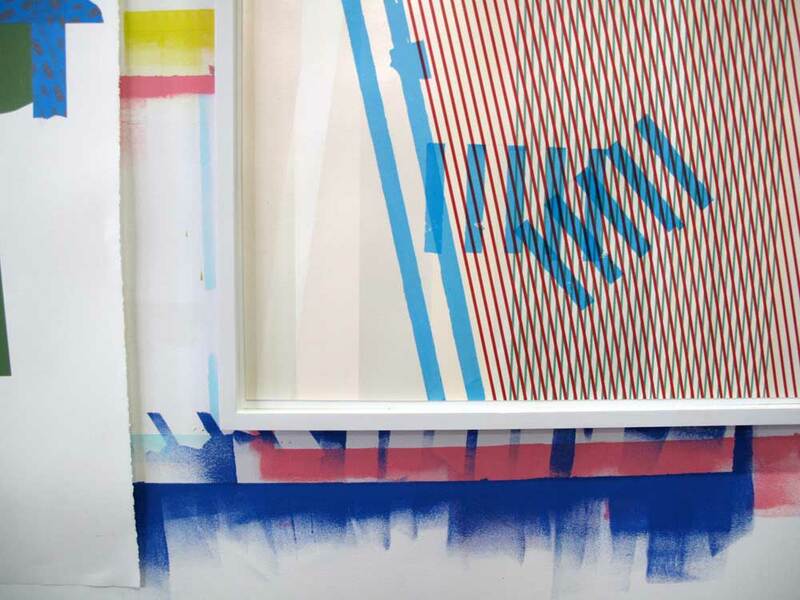 Anne Schaefer’s immersive, geometric wall installations have been exhibited locally at Moore College Gallery, The Philadelphia Airport, University of the Arts Gallery and Vox Populi. 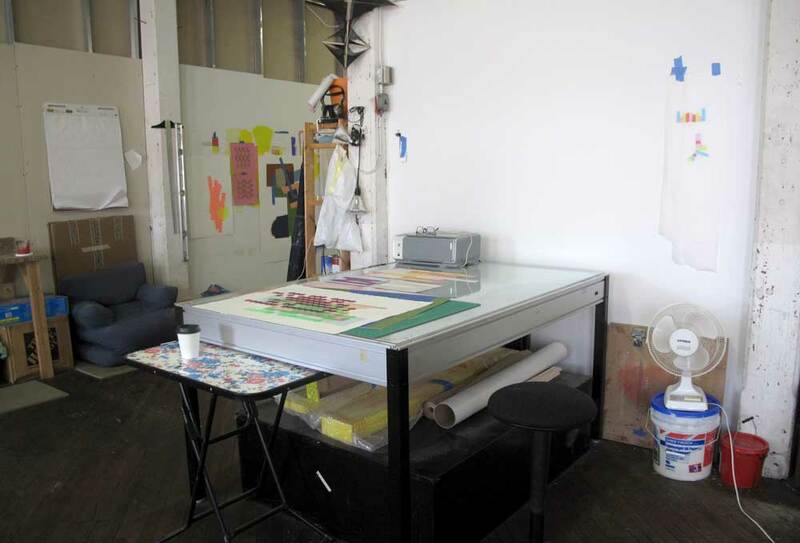 Her nuanced works on paper were the focus of the 2012 solo show, ‘What you couldn’t plan for,’ at Tiger Strikes Asteroid, where she is an active artist member and current director. CINDY: The walls of your studio offer such insight into your practice. Can you talk a bit about the process behind your abstractions? 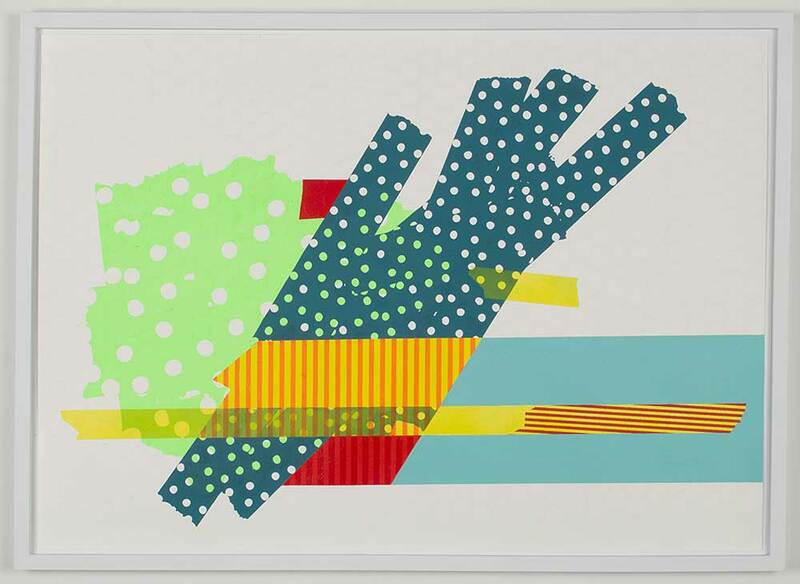 ANNE: Much of the new work mines the imagery, pattern and chance forms created in the studio. Basically, I’m using the material refuse from the creation of work as the source material (or building blocks) of new work. The large-scale work is dimensionally specific. 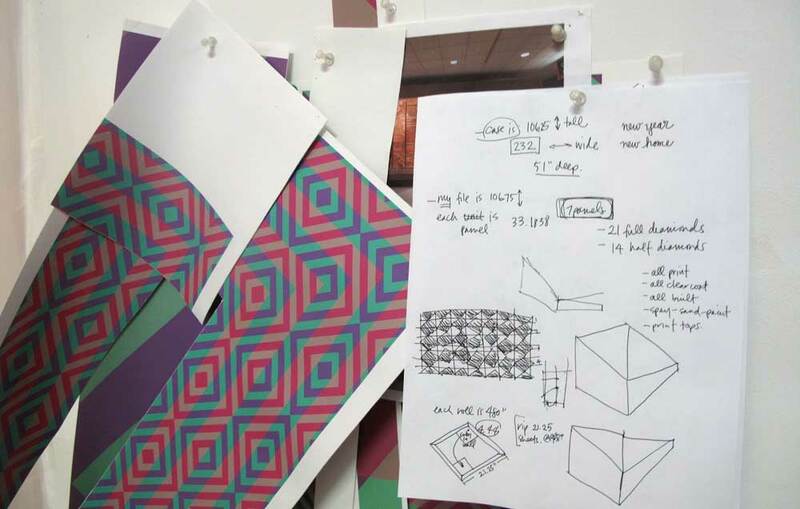 So, when I was working on installation-based projects, the essential building blocks included the scale of pattern based on size of the space, the location of the piece in relation to other architectural elements in the space, and the color required to achieve desired optical or sensorial effects. I have an ongoing interest in working with basic forms to generate a more complex visual experience. 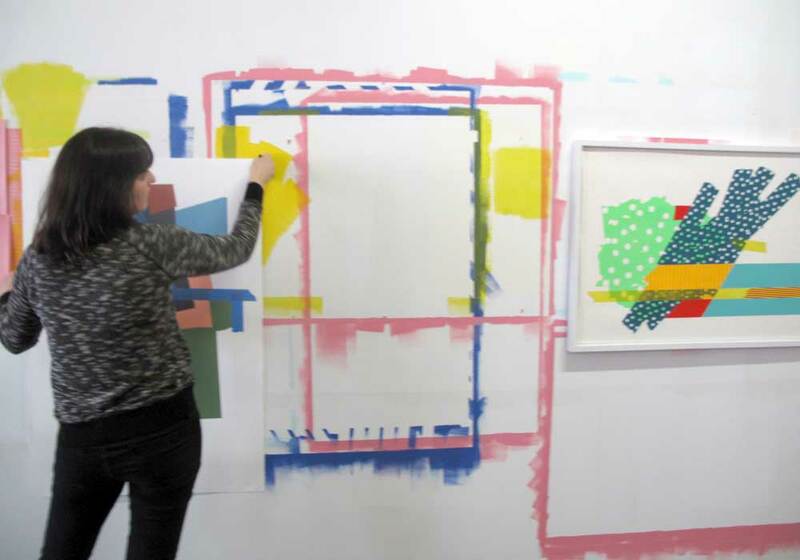 The basic forms of the newer paintings, rather than being pulled from architectural or pattern-based sources, are found in unintended marks: negative forms generated by painting successive sheets of paper on the wall, the residual ink on a piece of tape used to mask out an area of a screen print, or digital printing errors/tests. In this way, the marks inherent to my studio practice are the building blocks for the new work. CINDY: The difference in approach between bodies of work brings up ideas of ‘finding’ versus ‘seeking’ in the studio. Where would you situate your practice in regard to choice and chance? ANNE: In the large-scale work, I am creating a specific, predetermined, and perceptually immersive experience for the viewer. It is meant to disrupt expectations of the pattern and/or the space. To this end, the work often becomes methodical to make; it is singular in what I am ‘seeking.’ Of course there is always a shift when the work is fully installed. There is always something unexpected that the scale model could not have predicted, and I am forced to reconcile the new aspect of the work. But the discovery is often fairly minimal. 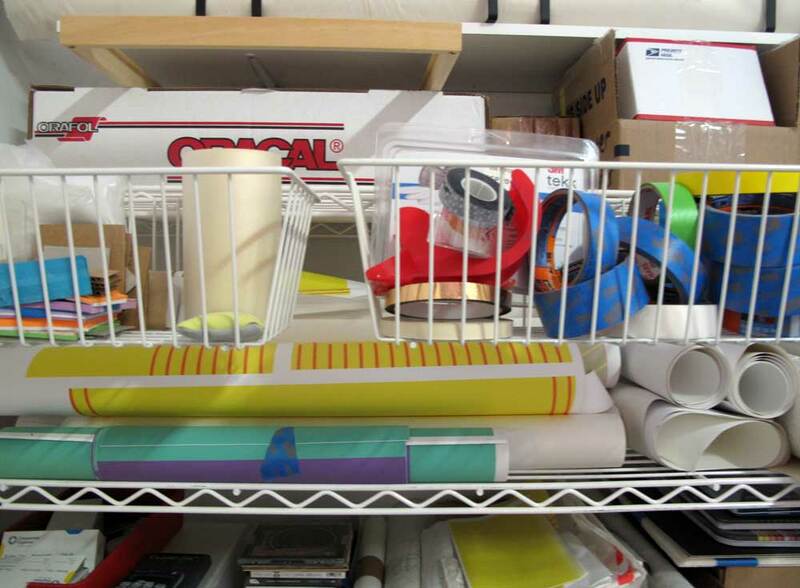 It is essential to have both aspects of seeking and finding in my studio practice. The development of the newer paintings has opened up new ways of seeing scale shifts, a greater play with disjointed spatial relationships, and new figure-ground relationships that will filter into future large scale installations. There is quite a bit more discovery or ‘finding’ in this current practice. The reconciliation that happens only during installation of the large-scale work is happening at each step in the development of the individual paintings. CINDY: Your responsiveness to material definitely comes across – especially with prolonged viewing. The perceptual/sensorial shifts are often quite subtle; they take some time to register consciously. I find myself looking for your ‘hand’ within work that first appears to be about precision – an edge that wavers, a registration that is slightly staggered, a surface shift of sheen rather than color. How do nuance and illusion play into this body of work? ANNE- Nuance is really important to me; I use it to prolong the viewing experience. I am interested in subtle shifts in surface, registration, and color operating as a sort of break or fissure in the expectations of the viewer. I always think that there has to be the ‘first read’ (which could be the relationship of the color or the repetition of a motif) and then something that alters the understanding of that ‘read.’ All of my work taps into an experiential or sensorial type of viewing, rather than an exclusively visual digestion of image. In terms of illusion, I am fascinated by the potential of small formal moves to radically change the perceived space of a painting or installation. I will never tire of the potential of a form’s colored edge to vibrate (or blur) because of the contrast with its surroundings or the reversal of a figure/ground relationship based on scale shifts or position. I embrace the flatness that is inherent to my media (silkscreen, acrylic, vinyl, decals, and digital printing,) but I work to create depth – as a way to challenge the media and, again, to add another layer to the viewing experience. CINDY: Your media span both traditional studio arts and graphic arts. How does your ‘working life’ –as a designer, as a professor, as a curator– enter into your studio practice? How do you balance these roles on a personal level? 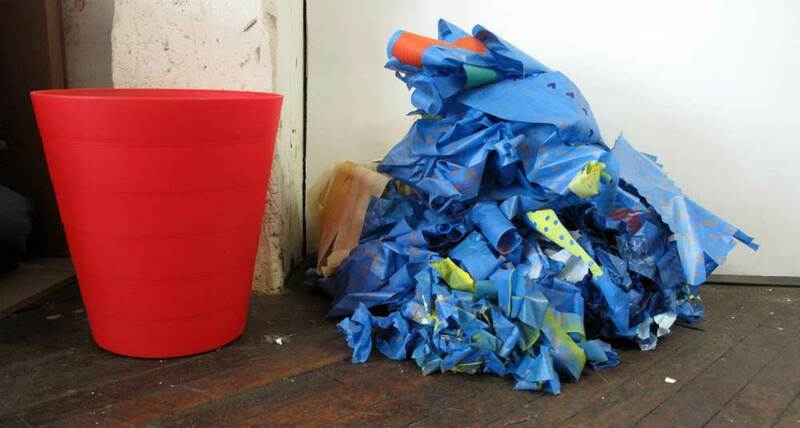 ANNE: The varied roles that I take on in my ‘working life’ greatly benefit my studio practice. Teaching is such an amazing job because it constantly keeps me thinking about how to make things. Although it is hard work and takes time away from the studio, it can be really rewarding. I try to appreciate the benefits of having access to facilities, libraries, lectures, and the conversation with students and colleagues. Similarly, working with an artist-run gallery provides great community and insight into how others work. Working in design gives me the opportunity to problem-solve in a totally different way, and it has introduced me to new graphic materials that I have co-opted for studio use. It is sometimes nice to work for a client, toward something aesthetic that has nothing to do with me (or my interests.) It requires that you remove any ego from the process, which is a great lesson in humility. That said, I don’t really make a huge distinction between the roles. If asked at a party, “What do you do?” I say, “I’m an artist,” rather than teacher, designer or professor, because ultimately, I think that artist is the role that encompasses all the others. It’s a way of seeing the world, a desire to connect with others, a specific type of discipline – all of which is present in the way I approach the other varied roles. On the best days, all the parts of my life are a fluid part of being an artist. On more challenging days, it is not fluid at all, and I feel it is impossible to balance the roles you mentioned – in addition to the ones that you left out… friend, wife, sister, daughter, in short, part of a family. It can be a constant shuffle, with one role trumping the others at any given moment. For me, it comes down to having patience with myself. Knowing that a day away from the studio isn’t the end of the world because I will hopefully get in there tomorrow. I have to remind myself that my interest in making things (and my need to make them) doesn’t start and stop when I exit or enter the studio; it is always present. 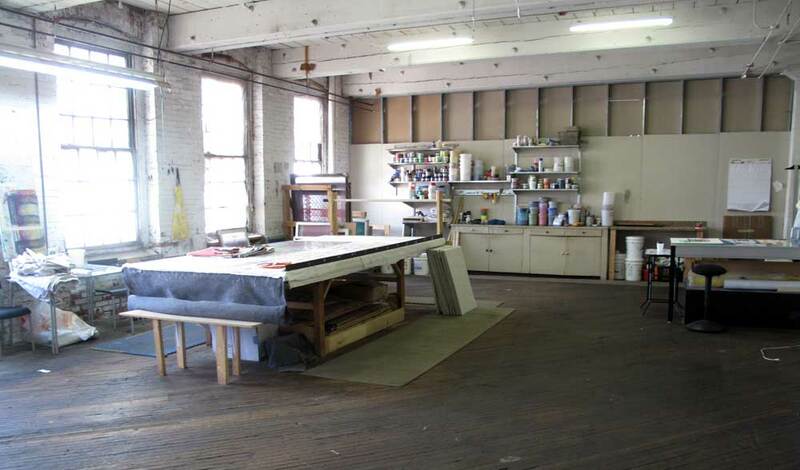 Anne Schaefer shares a studio with Lauren Rossi of Boutique Textiles on Amber Street in Port Richmond, Philadelphia. 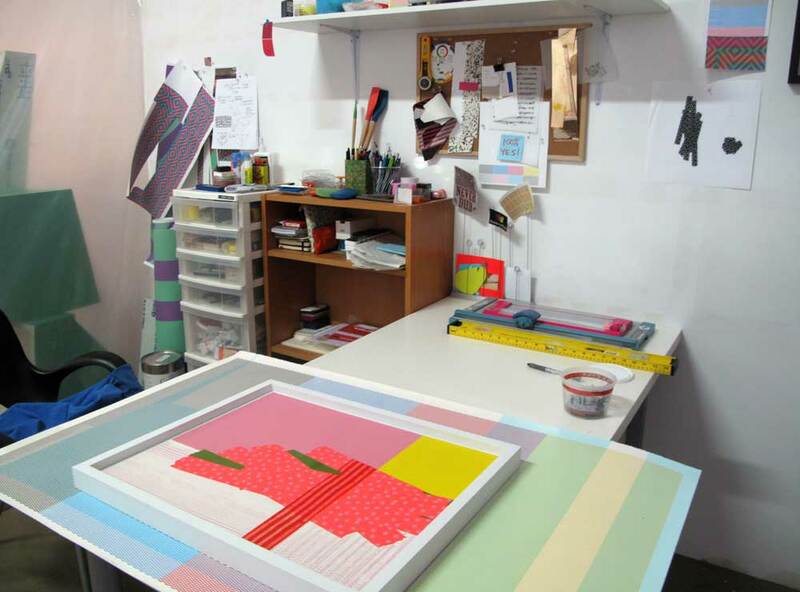 Anne collaborates with the graphic designer, Kate Jensen, as part of anne & kate.